Freestanding green glass globe, 70mm in diameter and ideal for engraving as desktop gifts or corporate merchandise. 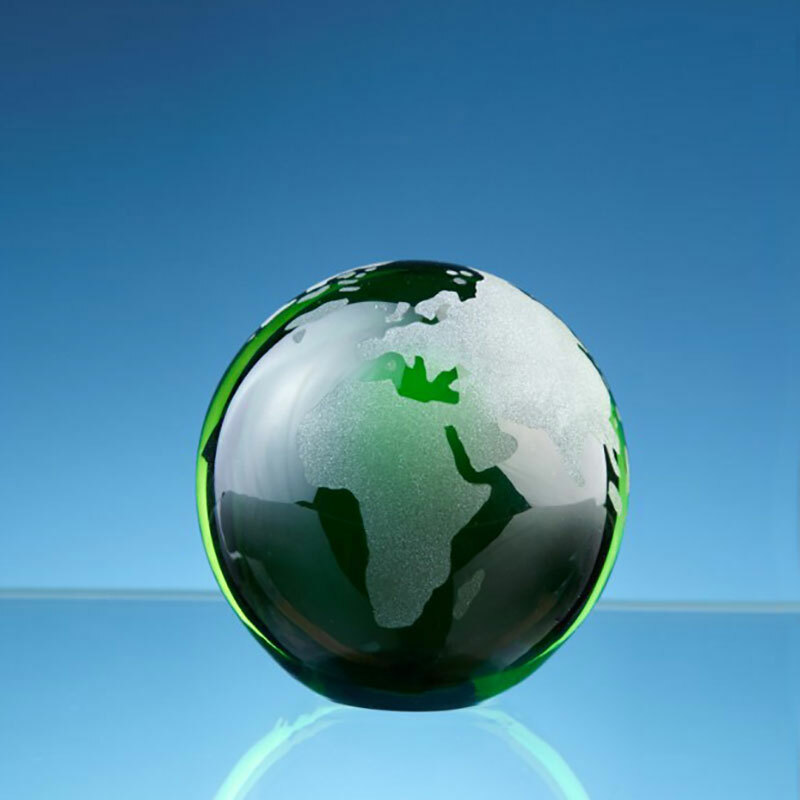 Freestanding globe in green glass. These desktop globes are perfect for engraving with your company logo, marketing message or achievement details. The engraving area for these green ocean globes is 25mm by 40mm. These globes are offered with low-cost engraving (one-off set-up fee applies to logo engraving).